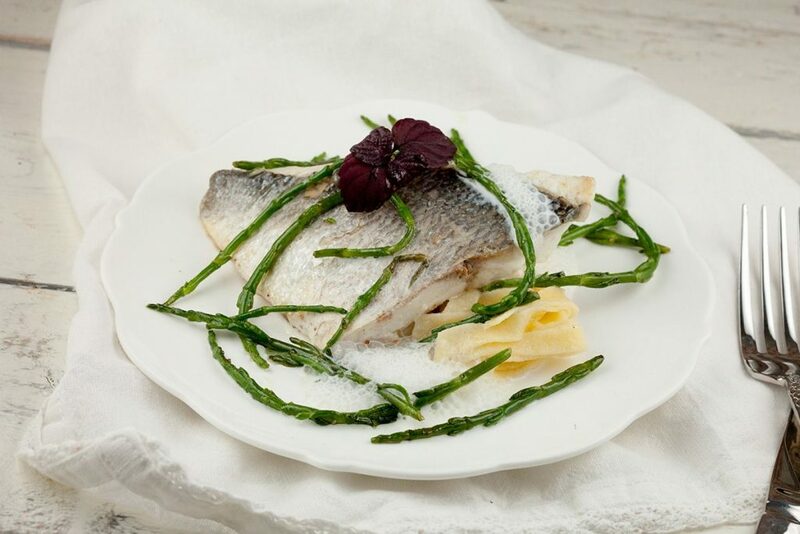 Sea bream with fresh pasta and samphire is a lovely warm appetizer, you can also serve it in larger portions for a main course. So delicious! 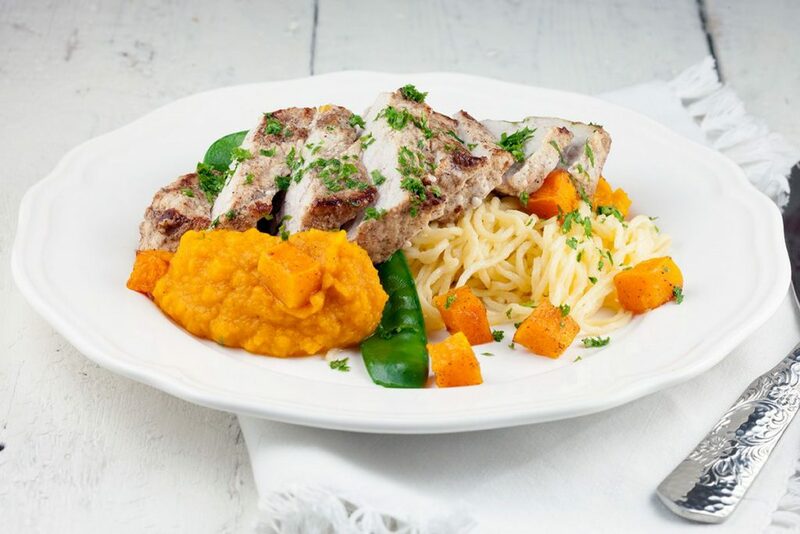 Pork medallions with mustard and cinnamon is a lovely dish when you’re having people over for dinner. Served with homemade pasta, pumpkin and snow peas.